WASHINGTON, DC -- The Mid-Term Elections can become a mini-referendum on the Obama administration’s inaction towards Ukraine. With a continued Democratic senate majority, Harry Reid will block the pro-Ukraine bills working their way through Congress. Ukraine has a chance of getting weapons to fend off Russian aggression only with Republican control of the Senate. The White House rejected Ukraine president Petro Poroshenko’s call for weapons during his recent visit to Washington. I recently gave five compelling reasons for U.S. lethal aid to Ukraine, and I explained why inaction on Ukraine threatens the destruction of NATO as we know it. The American establishment elite have increasingly concluded the same: that we must give Ukraine the means to defend itself against Russian aggression. 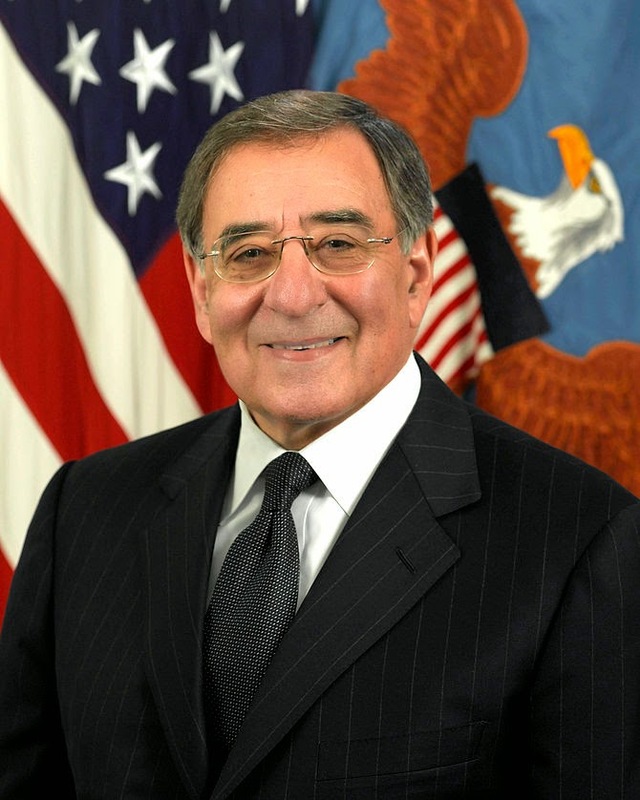 Add former defense secretary and CIA head, Leon Panetta, to a long list of diplomats (Mike McFaul, Strobe Talbot), generals (Martin Dempsey, Philip Breedlove et al. ), congressmen and senators (Ben Nelson, Sander Levin, Jim Gerlach, Gerland Connoly, Robert Menendez, Bob Corker, to name just a few) who disagree with the president on Ukraine. Consider the exchange of Panetta with Fox host, Bill O’Reilly. A better-armed Ukrainian army would make it more difficult for Russia to break the “ceasefire,” and Russia would incur more losses (which they have concealed from relatives). Putin has already escalated by annexing Crimea and invading southeast Ukraine. They further note that Ukrainians will bear the brunt of any escalation. (Ukraine has never asked for American boots on the ground). If Ukraine is willing, we should give them the tools to defend themselves. Finally, Pifer and Talbott complain that the United States has failed to honor the December 1994 Budapest Memorandum, which guaranteed Ukraine’s territorial integrity in return for it giving up its nuclear arsenal. The Kremlin grossly violated the Budapest Memorandum by its seizure of Crimea and assaults on Ukraine, and the United States has failed to respond. After this experience, why should any nation believe in security assurances in return for abandoning nuclear programs, such as North Korea or Iran? Notably, Obama set as a major goal of his administration convincing Iran and North Korea to give up their nuclear programs. Both Barack Obama and Germany’s Angela Merkel oppose weapons for Ukraine because an armed Ukraine might think that there is a military solution. Unfortunately, Putin does not agree that there is no military solution. As a Washington Post editorial points out, Putin has used military escalation to achieve his victory in the form of a dissected Ukraine and a frozen conflict that will destabilize Ukraine for the foreseeable future and deny it European Union and NATO membership. There was a military solution. Putin saw it and grabbed it. The battle over Ukraine policy has shifted to Congress, where Democratic Senator Ben Nelson has concluded that if Obama doesn’t act, Congress will have to step up. In this vein, two bi-partisan bills are working their way through Congress that supply weapons to Ukraine. S.2828, the Ukraine Freedom Support Act of 2014, passed unanimously by the Senate Foreign Relations Committee, calls for military and security assistance to Ukraine, designates it as a Major Non-NATO Ally (MNNA), and imposes further sanctions on the Russian Federation. The bill was introduced by the Chairman and Ranking Member of the Senate Foreign Relations Committee, Sens. Robert Menendez (D-NJ) and Bob Corker (R-TN), respectively. The growing support of Democratic members of Congress, added to the already strong support from the Republican caucus, is placing pressure on Obama to drop his opposition to military assistance for Ukraine, but everyone understands that Obama has dug in his heels. Ukraine will get real military assistance only through congressional action. The growing gap between the administration and Congress on Ukraine has turned the mid term elections into a referendum on U.S. policy towards Ukraine and Putin’s aggression. If the Democrats retain their senate majority, Harry Reid will continue to block legislation that the administration opposes. With continued Democrat control of the Senate H.R. 5190 and S.2828 are dead in the water. Maybe our so-called dysfunctional Congress can actually do something. Poroshenko understood that Congress was Ukraine’s only chance. He thanked the U.S. Congress for its support of Ukraine, notably leaving out the president. Vote Republican! USA, USA, USA!